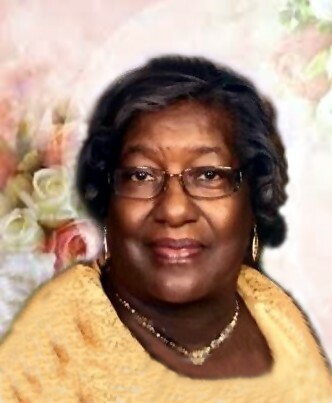 Ruby was born on December 1, 1949 in Greensboro, Alabama to Ruby and Lennie Wiggins Sr. She gave her life to Christ at a young age, attending Union Grove Baptist Church. She departed this earthly life on Tuesday, January 15, 2019. In 1967, she graduated from Hale County Training School. Ruby later moved to Fort Wayne, Indiana and joined Antioch Missionary Baptist Church under the leadership of the late Rev. C. E. Walker, where she served on the Usher Board and sang in the choir. On November 19, 1976 she married the love of her life, Henry Parker. Ruby previously worked at several factories prior to obtaining her favorite position as a Data Entry Clerk for Summit Bank. She enjoyed using her love of numbers and bookkeeping skills she acquired while working at her father’s farm as a teenager. In 1986, she joined Pilgrim Baptist Church under the leadership of Rev. Sam Shade Jr. She loved attending Sunday service, various church events, cooking, shopping and talking with her friends. She had a big beautiful smile and an even bigger heart. She never met a stranger and her door was always open to family and friends. Ruby also loved and spoiled her grandchildren. She was a devoted caregiver to her mother, mother-in-law, brother and grandchildren. She touched the lives of many people and will be truly missed and shall never be forgotten. She leaves behind, her beloved husband, Henry Parker Jr.; son, Jeffrey (Amber)Parker of Indianapolis, Indiana; Kamilah Parker and Rashida Parker both of Fort Wayne; stepchildren, Tammy Tellez, Tina White, Lisa Parker and Keith Parker all of Illinois; sisters, Evelene Hamilton of Fort Wayne and Gladys Madison of Ypsilanti, Michigan; brothers, Charlie (Josephine) Wiggins, Willie D. (Sarah) Wiggins both of Greensboro, Alabama and Lester Wiggins of Fort Wayne; a special friend, Dorothy Benson. 11 grandchildren along with a host of beloved nieces, nephews, other relatives and friends. Ruby was preceded in death by her parents, Ruby and Lennie Wiggins Sr.; brother, Lennie Wiggins Jr.; mother-in-law and father-in-law, Jennie and Henry Parker Sr.; stepson, Kenneth Parker and great niece, Destiny Lewis.